Almost as soon as I started writing my debut novel ‘From Here to Nashville’ last year, I had a strong idea in mind of what I wanted the cover to look like. As it’s a contemporary romance with a country music theme, I knew it had to have a guitar in there and something to suggest it was a love story but at that point, that was really all I had come up with. I found a photo on one of the stock photo sites that I liked, paid for it and downloaded it. My daughter helped me insert some writing on to it and lo, my provisional cover was born. Regular readers will be familiar with it and I have also asked friends and followers on Facebook for their view of the cover. I didn’t get many replies but those that did reply said they liked it. However, one of the pieces of advice I picked up early on is that your cover has to be brilliant, especially if you’re going to self-publish and as much as I still like my own cover, I have known for a long time that it wouldn’t compare to a professional cover design. So, I started building a list of potential cover designers very early on. ‘Where from?’ I hear you cry! Well, one place I began to find the same names appearing was on Joel Friedlander’s ‘The Book Designer’ website, where every month, he holds an ebook Cover Design Awards ceremony. Here’s the link to last month’s: http://dlvr.it/6f38GD I watch out for this every month because I love looking at all the covers and reading his comments about them. It is a very rare thing for a self-published cover to receive praise but they do sometimes and you can see what things he thinks they have done particularly well. I noticed over the months though that the same design companies came in for regular praise and I started bookmarking these companies for the time when I might need them. In addition to this, whenever I noticed a book with a good cover, I would check the first few pages to see if the cover designer was mentioned and if they were, I would bookmark their company. I looked out for recommendations from others and read articles with interest about people’s experiences. So when the time came for me to choose a cover designer, I already had a good list of about 6 companies to choose from. The next stage was finding out how much they would charge. Unfortunately, I am finding that self-publishing can come at quite a high cost and therefore, getting value for money is really important. I am obviously happy to pay for professional work but there is a limit for everyone and if, like me, you don’t really even have a budget (! ), every penny is going to be important. What I found is that the larger companies wanted me to sign up to a package, typically priced at around £250 for just an ebook cover. This seemed like a lot of money to me for a service that didn’t look very personal. I wanted to work with someone that I could build a relationship with, as I thought that would be very important if they were to stand any chance of understanding what I want from my cover. This was why I didn’t choose the company 99designs.co.uk in the end, even though they are priced very competitively. I came across the site via a recommendation from Jericho Writers because one of their writers was holding a contest for the design of their book cover. It is a clever idea in that you submit your brief, choose how much you’ll pay and then designers submit their designs to your contest and you choose the one you like the most after 7 days. I just didn’t feel that this was personal enough for me but it might work for you so you should take a look if you like the sound of it. Thanks, as always, for reading and let me know in the comments below, if you have any questions you’d like to ask. After a great break away, it’s time to get back to writing and I always find that this weekly blog post breaks me in gently on a Monday morning. I thought I ought to start with an update of where things are with my writing journey. 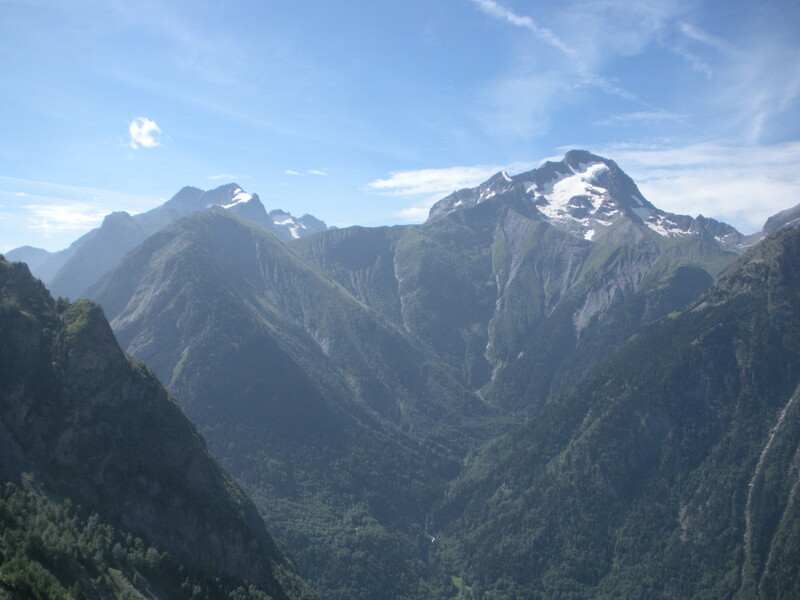 This photo shows one of the mountains we saw whilst we were away in the French Alps last week and it reminds me a lot of where I am with my writing right now. 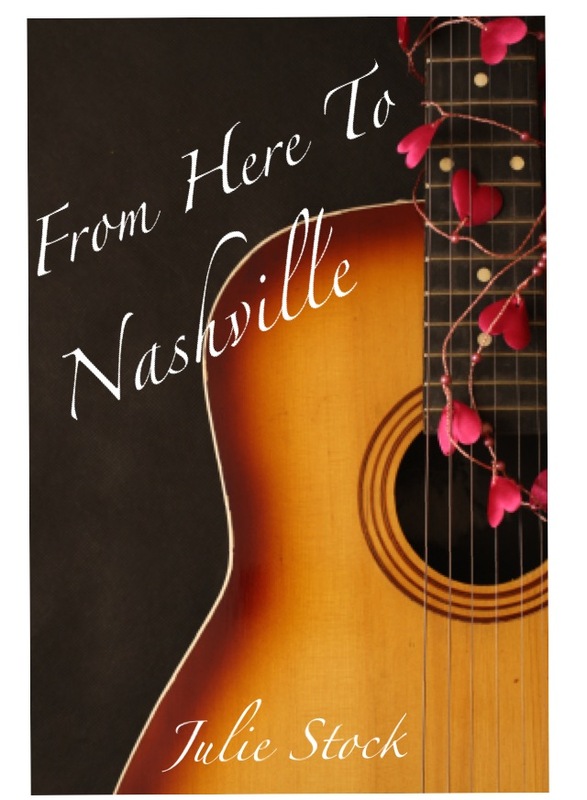 Before I went away on holiday, I got in touch with a freelance editor I’d met at the Romantic Novelists’ Association’s (RNA) conference in July and asked her to do a partial edit on the first three chapters of ‘From Here to Nashville,’ my debut novel. I have sent her the final draft of those chapters so I hope that these represent as close to the finished work as I can make it on my own. I am nervously awaiting her feedback which is due by the end of this month. Dependent on what comes back, I may or may not have a lot of work to do to polish the rest of the story to the same standard as the first three chapters will be after her help. The other thing I have done is to contact a cover designer and I am all set to go with them this week in starting work on an e-book cover only, in the first instance. They have a lot of experience in book cover design and also in the romance genre and I’m looking forward to working with them. The cover should be ready by mid-September and I will keep you up to date with its progress. In the meantime, I am still implementing the revisions suggested by my RNA reader following my manuscript assessment as part of the New Writers’ Scheme. This should keep me busy whilst all these other things are going on. On top of this, I have started working on a blurb for my novel, just another one of those seemingly easy but actually quite difficult jobs you have to do as a novelist. I read an interesting blog post at the weekend by Tara Sparling called ‘What Makes People Buy Self-Published Books’ which you can read here on her blog. The three things that came out of her survey that encouraged people to buy were the cover, the sample and the blurb. As I’ve got going on the cover and the book itself is on its way to being professionally edited, I felt it was time to turn my attention to the blurb. I have had a go at this in the past but found it quite difficult so I did some research and found an interesting piece all about it here, on Digital Bookworld’s site. Their advice is to follow four easy steps to writing your blurb: first, describe the situation your characters are in at the start of the story; then explain the problem; next, tell the reader what the ‘hopeful possibility’ is; finally, describe the mood of the story. I found this incredibly useful and have even managed to produce a first go which comes in at just under 150 words. It’s not as good as it could be yet but it’s a start. I also spent some time looking at blurbs for other books I’ve read and enjoyed on Amazon to see what I should be aiming for. Whilst doing this, I noticed that most blurbs start with a separate line of just a few words which aim to hook the reader in. For example, Kate Atkinson’s ‘Life After Life’ blurb starts with: ‘What if you had the chance to live your life again and again, until you finally got it right?’ And ‘Can Baking Mend a Broken Heart?’ from Jenny Colgan’s ‘Little Beach Street Bakery.’ In keeping with this idea then, mine is ‘Can Music Really Make Your Dreams Come True?’ Once again, it’s a first go but it’s made me think about my story and how to hook readers. Thanks for reading and if you have any thoughts about writing a blurb, do let me know in the comments below. Good luck with writing yours!